Half off Security Deposit! *Some Restrictions Apply. Limited Time Only - Call office for details. The Willows offers peaceful apartments in Westfield, MA for rent. Shaded by trees and tucked away from hectic city life, our community is only a short drive to many area conveniences. Our community is located just minutes away from shopping and dining, as well as multiple local colleges and universities. Our newly remodeled two bedroom Westfield apartments for rent offer bright spacious kitchens with breakfast bars plus tons of cabinets and counter space. Each of our Westfield, MA apartments come with full-size appliances, as well as air conditioning and dishwashers. We also have stainless steel appliances available, so be sure to ask about this upgrade! Residents enjoy beautifully landscaped grounds, convenient laundry rooms open 24-hours a day, concierge services, on-site management and 24-hour emergency maintenance. Cable TV and high speed internet access, as well as free heat and hot water add to our premier community amenities. The Willows Apartments are located near Stanley Park and Westfield State University. We are also just seconds away from the Mass Turnpike and only a couple of minutes from I-91, making traveling a breeze. Our Westfield apartments are located just minutes away from the brand new MGM casino in Springfield. If you’re a student at Westfield State University then we're the off-campus student apartments for you. Located just minutes from campus, you’ll be able to enjoy the student life and the luxuries of having your own space. 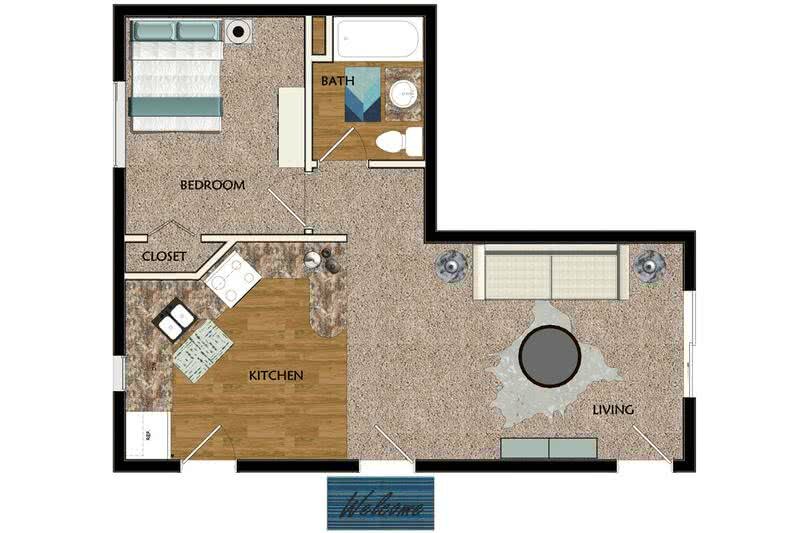 All our great amenities and close proximity to WSU campus makes The Willows an ideal apartment choice. Our premier location makes us THE choice for apartments in Westfield, MA.